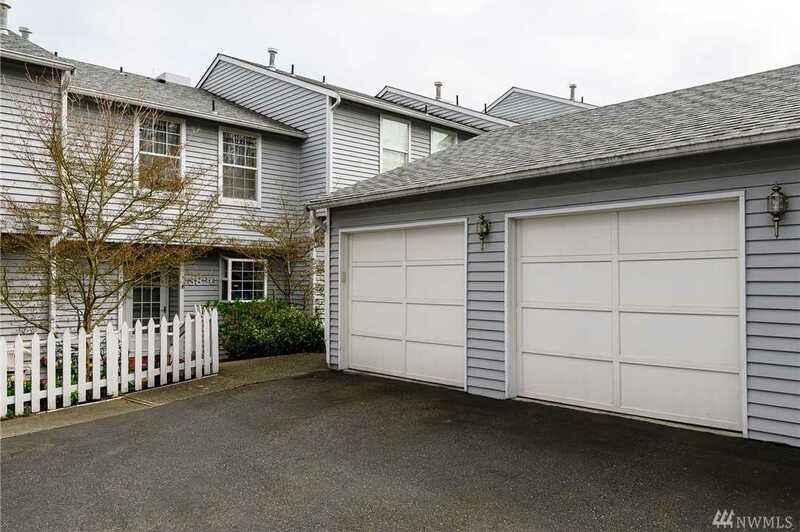 This townhome lives like a two story house with a daylight basement, plus a huge 2 car garage. Views of Salmon Bay, Fisherman’s Terminal and the Ballard Bridge are ever changing. Main floor entry. Updated kitchen and bathrooms. Two master suites upstairs. The lower level has high ceilings, a family room with sliding glass doors to a patio and back yard. The Lawton Park Townhouse Condominium community is tucked into the edge of Magnolia near Fisherman’s Terminal. Pet friendly. Directions: From Gilman Ave W go west on W Thurman and then south into Lawton Park Townhouses on 25th Ave W. Home is on the east side of the street.